Reel Gems, from Microgaming, is an older style pokie that comes with 5 reels and a couple of interesting features that lift it above the basic gameplay that at first glance it appears to have. With the popular 243 Ways to Win payout format, that replaces paylines with a system where any 3 or more of the same symbol landing anywhere on adjacent reels running from the left one will win a prize. It tends to result in more frequent, though smaller wins which many players prefer. This sparkly game also comes with a free spins round with multipliers, wild wins, scatter payouts and a respins feature that lets players try again for a win, while the images of jewels should put a twinkle in the eye of anyone spinning the reels of this popular game. Unsurprisingly perhaps, the symbols are largely made up of different types of jewels, although the low value ones are the usual playing card 9, 10, J, Q, K and A, all given a subtle makeover with added bling to fit in with the theme. A fairly simple design gives away the age of this game, but let’s not be too harsh, as it works perfectly well. A blue background that’s made to look like the sort of cushion that jewels are displayed on sets the scene nicely without distracting players from the action of the reels, while a richly decorated control panel gives them the option to set their wagers from 0.25 to 125.00 per spin. The value of each coin can be set from 0.01 to a maximum of 0.50 and between 1 and 10 coins can be played per spin. The payout table details what each combination will be worth, with the 9 being the lowest value symbol, paying 2, 12 or 100 coins when 3, 4 or 5 land across the reels. Moving up the scale, the A is valued at 5, 30 or 200 for the same results, while the jewels pay progressively more, with orange, (amethyst maybe?) a blue sapphire, green jade stone and red ruby all featured, ending up with the diamond that pays 10 coins for landing just 2 of them and up to 4000 for a line of 5. 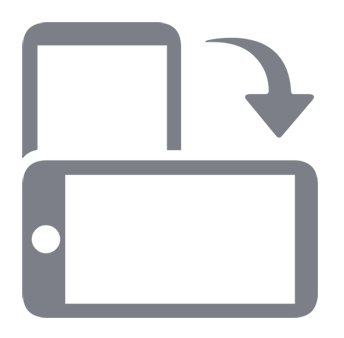 The Reel Gems logo is wild, so will act as any other apart from the scatter, to help make up winning combinations, although it only appears on reels 2 and 4, so has no value on its own. That scatter symbol is a valuable-looking diamond ring and when it lands in any 2 or more positions it will pay 1x the total staked per spin, with the maximum of 5 appearing at once being worth 100x the stake. Any 3 or more will in addition, start off 15 free spins, during which any wins will be tripled in value, while landing enough scatters during this round will retrigger them, adding 15 more free games to the end of the current ones. Respins are a feature of several Microgaming pokies and although interesting, players need to treat them with caution. Basically, after any non-winning spin, they have the option of re-spinning any number of reels for a small extra bet. The actual amount that needs to be staked is calculated by the odds of actually creating a winning combination from the respin, but it’s easy to get carried away with these, so maybe just have a go now and then. 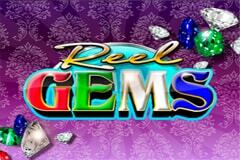 Reel Gems has been a popular pokie for some time and while it may have been overtaken in the style stakes, it remains successful. A simple design that’s not overdone with flashy graphics may put some off, but will be equally attractive to many others. The bonus features will certainly appeal though, with some generous free spins games, although it’s a shame the wild only appears on a couple of reels and doesn’t pay out anything on its own. We can’t have it all though can we? Players just need to be wary of the respins though, as because it’s possible to spin a reel as many times as they like, it can be easy to keep trying to land a winning line and spending more doing it that they would be likely to get back in return.